Chantal Asaad cuts a striking figure in a smart plaid shirt, black jeans and a glossy leather jacket; she personifies biker chic in a way no staged fashion shoot can. It’s the boots that set her apart from wannabe hipsters, I surmise, as the 31-year-old Canadian-Emirati settles down into a couch at Café Rider in Al Quoz. Not heeled style statements or Doc Martens, but sturdy lace-up leather riding boots that have gathered dust. Dust, I am later told, she refuses to wipe off because it isn’t dirt that has settled from a walk across a sandy parking lot. These boots have weathered sandstorms in the deserts of Mleiha and tread ancient paths through the rose-coloured sandstone of Petra en route an epic journey spanning more than 500km over three weeks and three countries (UAE, Lebanon and Jordan) during the filming of a six-part homegrown travel series, The Open Road. You’d want to walk a mile in her well-travelled boots, but you can’t. She completed the expedition astride a Harley Davidson motorcycle. There’s a reason she owns the biker girl vibes effortlessly. ‘She wants to remember the incredible journey we had every time she looks at the boots,’ her fellow-presenter, biker and friend Pamela Nabhan fills me in, laughter shaking her mop of curls. At first look, you wouldn’t assume the glamorous 35-year-old from Beirut is a biker – sporting bold red lips, and golden earrings that flash in the afternoon sunlight streaming into the café in rhythm with her contagious laughter, she’s quite far removed from my stereotype of a biker and perfectly fits her professional mould of the polished freelance TV presenter/producer/reporter. 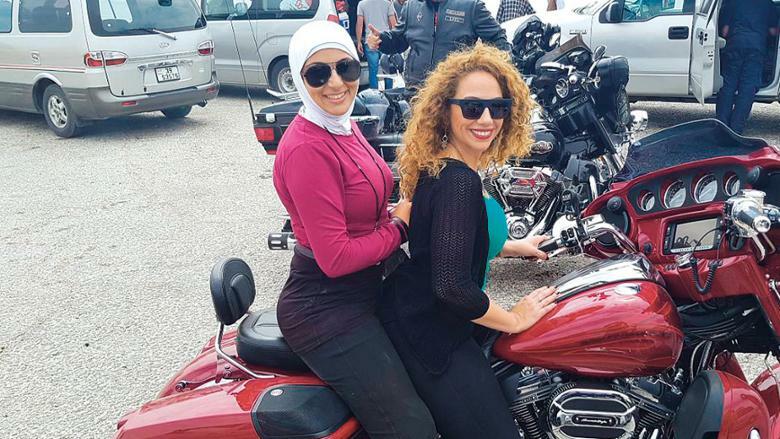 Pamela is no neophyte biker; she’s the director of the Ladies of Harley Group of Beirut. 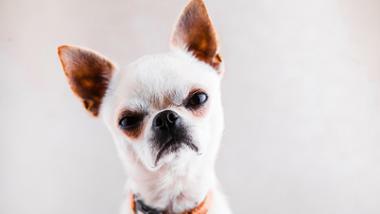 It’s this convivial, judgement-free sense of fraternity that producer Gemma Wale, co-founder of Dubai-based production house Electric Films, wanted to tap into when she developed the show with Fox Networks Group – it premiered on October 13. Throughout their journey — which started from Café Rider in Dubai, taking them to Ras Al Khaimah, Beirut, Byblos and Douma in Lebanon and Amman, Petra and Wadi Rum in Jordan, finishing with a ride into a spectacular sunset in Sharjah – Chantal and Pamela meet biker groups across the three countries with members from all walks of life: CEOs, doctors, mechanics, single mums and teachers, all of whom, once they’ve donned leathers, are a tight-knit family of bikers whose passion for riding and thirst for exploring new places unites them. 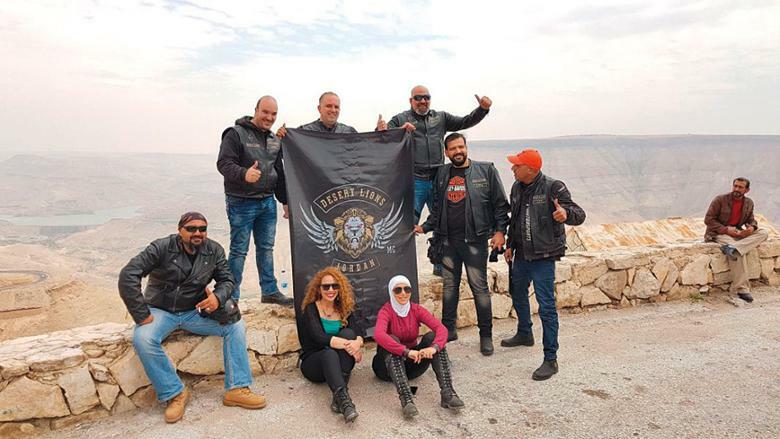 These innocuous, law-abiding attributes are the only Sons of Anarchy qualities these Middle Eastern biker groups embody. ‘The groups are amazing. 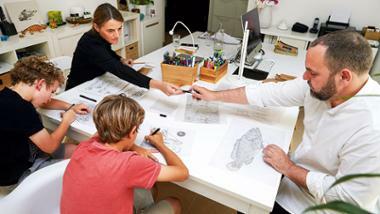 No matter where you’re travelling you always have a riding family there. 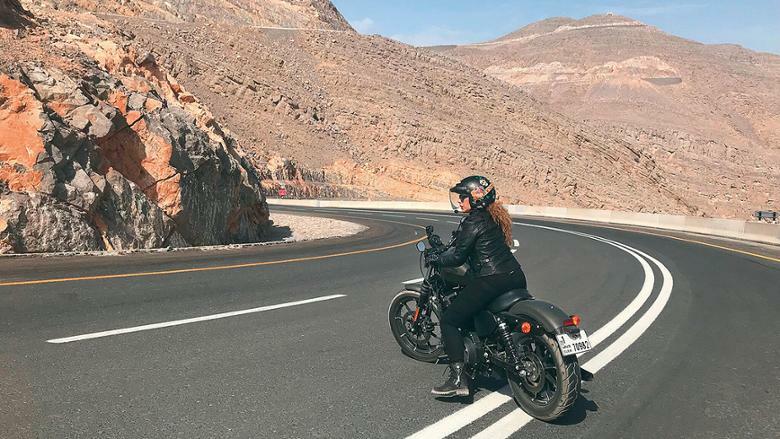 When I was introduced to riding groups in the UAE, even though I wasn’t a part of them they were so supportive and ready to lend me their bikes or join training sessions,’ says Chantal, an unabashed solitary rider who prefers to lone-wolf it. But it’s overcoming these set habits, ingrained fears and a systematic demolition of comfort zones that this unscripted travel show has bequeathed the two women. Pamela overcame her deep-seated fear of heights paragliding in Lebanon and Chantal, the girl who faked being sick on a Disneyland vacation and chilled by the poolside to escape the rides and rollercoasters flew down (screaming, of course) the world’s largest zipline on Jebel Jais in Ras Al Khaimah. ‘After this show, everything is a piece of cake for me,’ quips Pamela. But what makes their quest a treat for viewers? Channel-surf, and a dime-a-dozen stylistic voyages will crowd your screens. 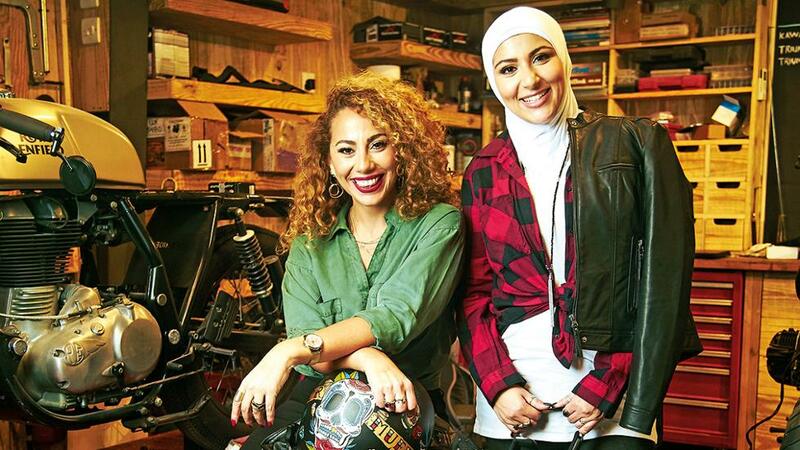 For starters, it’s the only travel show of its kind featuring female bikers of Arab origin and focusing on the Middle East, making this first Fox Original Production a trailblazer. Like most motorcycling odysseys worth their salt, such as Ted Simon’s cult travelogue Jupiter’s Travels that charts his 85,000km journey through 53 countries on a Triumph Tiger and the (less feted) docu-series it inspired, Long Way Round, where actors Ewan McGregor and Charley Boorman motorbike through 12 countries in 155 days, the internal journey of the protagonists is the hook. In The Open Road, it’s Pamela and Chantal’s transformation into complete mavericks and how the challenges they faced tested and strengthened their friendship. Chantal has been a petrolhead for as long as she remembers and her gateway vehicles were sports cars; she owns a Camaro besides her bikes. ‘I’ve always liked loud engines,’ she laughs. ‘Whenever I hear a really loud car engine or motorcycle pass me by, my heart skips a beat. It’s the only thing that gets my heart racing.’ Similar to Pamela, Chantal too applied for a three-day bike licence course in Canada, where she grew up, even before she’d booked her flight to Canada from Dubai. For both women, the fact that they had never undertaken such an arduous, long journey on a motorcycle before was added incentive to join the show. Not to mention the fact that they were embarking on this exciting chapter with each other: ‘we’ve been friends from before the show and it’s very important to ride with someone you can trust to have your back. Pam would support and encourage me to do adventurous things even if she was scared herself,’ Chantal says. Then there was the culinary aspect of it, the only pre-planned sections of the show, that was the foodies’ carte blanche to gorge on harees in Ras Al Khaimah and modern Lebanese cuisine in Beirut, and discovering offbeat, hole-in-the-wall establishments along the way. ‘We wanted to show viewers hidden gems that haven’t been reviewed on Trip Advisor. Private family-owned restaurants that have more heart and soul and are so hospitable!’ reminisces Chantal. For Pamela it was an opportunity to experience a down-to-earth side of the UAE, than the usual trendy fine-dining venues she frequented, and discovering small details that differentiated each country’s cuisine from the other although they shared common roots. 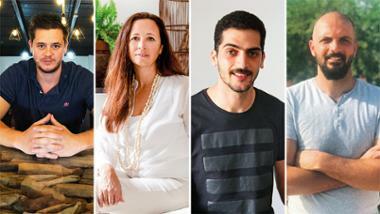 ‘In the UAE, ghawa is served with cardamom, something we don’t do in Lebanon,’ says Pamela. And when they weren’t too full to even move, stuffed to the gills with scrummy local delicacies, or unwillingly partaking in adrenalin-pumping activities, the women rode full throttle, rediscovering not just each other’s home countries and familiar territories but also the crux of their passion for motorcycles. ‘When you’re on a bike, you can sense the whole world around you,’ explains Pamela, ‘and there’s this adrenalin rush that completely sets you free. But isn’t a car more convenient, I hazard? There’s a reverent wonder in her voice as she tries to reconcile these two seemingly conflicting sensations. Even Chantal, the automobile aficionado, endorses motorcycles, savouring the focused solitude they offer: ‘in my car I have my music synced and my GPS on. On the bike you’re not staring into space, you’re focused. There’s a silence you don’t get anywhere else; just the roar of the engine, the thrum of its power [coursing through you] and the rush of the wind. People always ask if that’s annoying but the serenity it gives is surreal! She launches into anecdotes about stopping abruptly to feed goats grazing on the side of the highway and soaking up panoramic vistas. Chantal’s face is alight with a beatific smile that isn’t dimmed even by recalling the gruelling riding schedules: 5am wake up calls, riding and filming for 12-13 hours, eating on-the-go and calling it a night at 2am. The hardships didn’t screech to a halt there. They rode through rain in Jordan, shine and extreme heat in the UAE, learned to manoeuvre their heavy Harley Davidson cruisers (luxury long-distance bikes) through desert sands and then through every possible terrain from curvaceous, rocky winding roads of the King’s Highway — one of the most challenging roads leading from the Dead Sea to Petra, that even experienced riders give a wide berth to — to chock-a-block city traffic of Beirut that terrified Chantal. 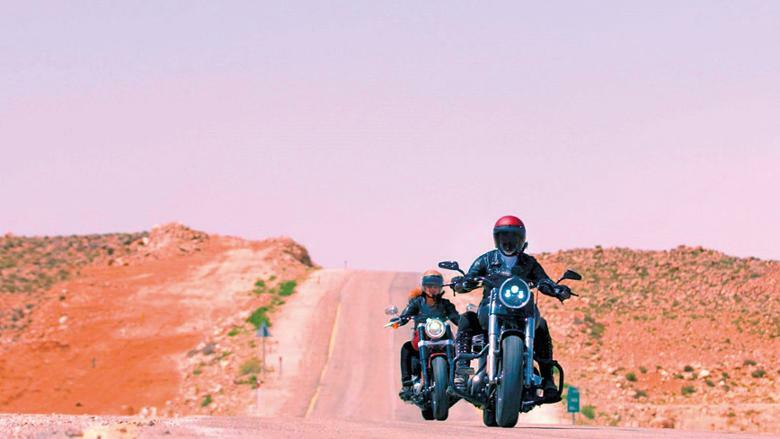 Their trusted mechanical steeds — Harley Sportster 883 Irons and a softail in Jordan — zoomed them through sticky situations. Two women tearing forwards on motorcycles through traditionally conservative communities could sound like a recipe for pushback but the ladies, whose riding is wholeheartedly championed by their families, were never met with any hostility or negativity. ‘We had police in Sharjah excitedly take pictures with us and a woman followed us in Lebanon and told us we inspired her to ride. 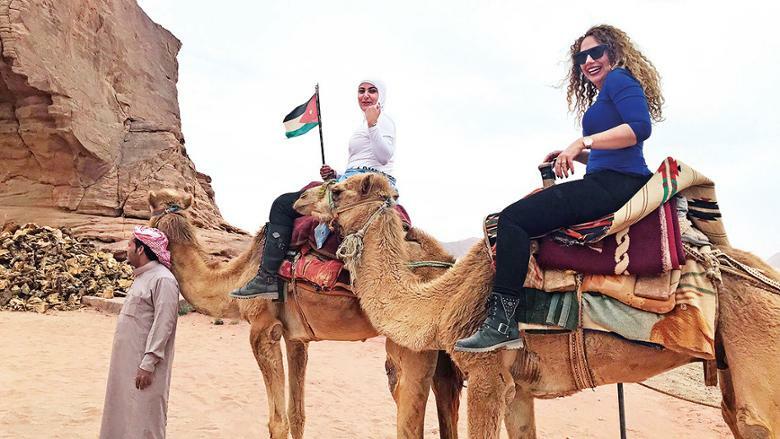 In Jordan, people were cheering us on and honking and clapping,’ narrates Chantal. ‘Even in small villages where people aren’t used to seeing men or women ride bikes,’ adds Pamela. Would the average Dubai viewer used to luxurious staycations and documenting every frame of their holiday on Instagram be happy to unplug?